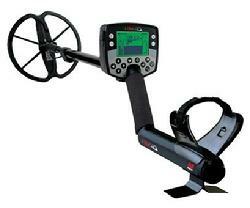 The Minelab GO-FIND 20 metal detectors are the newest and most advanced treasure detectors available today! Using today’s hi-tech technology leaving the competition very far behind, the GO-FIND 20 has everything ever wanted by beginners and first timers of all ages, from kids to active seniors. 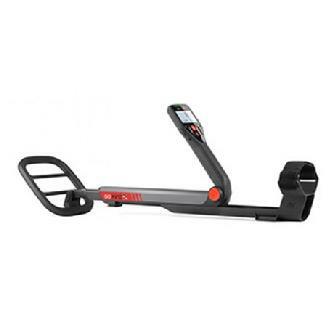 A full size metal detector that folds up neatly to a compact 22 inches and can easily fit into a small backpack, gym bag or string pack. This metal detector is super lightweight but has the power and sensitivity to find lost treasures as small as gold rings and even hidden gold and silver coins. You’ll make more finds with the exclusive unique new 8" "New Shape" search coil, and smart, you bet! This is an extraordinary easy to tune and easy to use with an easy to read meter that shows whether your target is good or bad. The GO-FIND 40 metal detector by Minelab is the very affordable mid-priced detector, designed to be very lightweight, slightly over two pounds. 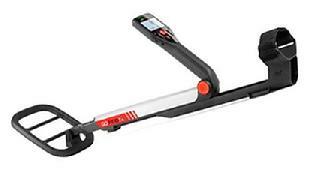 From a folded collapsible 22" it opens up to a regular full size metal detector. Note the exclusive "New Shape" 10" (quick response) waterproof search coil for wider searches and deeper penetration for coins, jewelry, gold and silver and other treasures whether on dry land, wet shorelines, beaches even in water to two feet in depth. All your controls are right in your hand. With a single touch of your finger you are in total control of the GO-FIND 40, select what you want to find, see Treasure View LED screen display your find, pinpoint exactly where you need to dig. Highly recommended for teenagers, adults, and great for seniors of all ages. 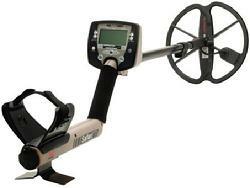 A small investment for all the fun and enjoyment you will have with your new GO-FIND metal detector. As an added Bonus, the GO-FIND 40 comes with Bluetooth integration and connects to your Smartphone App at no charge (FREE). With this App you can identify common coins, view detector information, even play music and more. It’s all EASY to use. If you can use a cell phone, you can use your Smartphone App. Every feature in the GO-FIND 20 and 40 is incorporated into the model 60 plus more! It will find coins, gold and diamond rings, gold and silver jewelry, relics and valuable artifacts, buried and hidden treasures, the model 60 is more than just another metal detector, it’s not like anything you’ve seen before. It comes with the powerful deep searching "New Shape" 10" search coil for greater scanning coverage, target separation and "Quick Response" to ground targets. Use the coil on land, beach or in water to two feet deep. All controls are in front of you, easy to see. Use one finger to select what you want to find, discriminate or eliminate unwanted "junk" targets, increase or decrease depth, pinpoint your finds. Meter also displays icon picture of your finds. Know your target before you dig. All this and more features are in a regular full size metal detector now compressed into a lightweight, compact and collapsible 22" modern 2015 metal detector. Powerful, well built, lightweight, easier to carry, pack or transport. 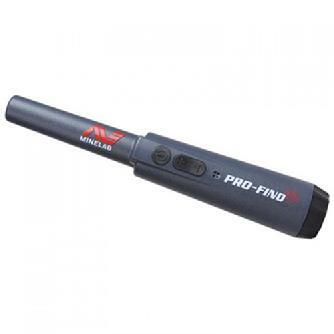 The new Pro-Find 25 pinpointer from Minelab has a host of features, such as adjustable sensitivity, two mode operation, water resistant construction and new DIF technology that removes false signals and noise commonly associated with other pinpointers. DIF technology eliminates interference with an operating metal detector, when it is switched off, by disengaging the coil’s magnetic field.